Summit ranks 46th in Ohio county health rankings. 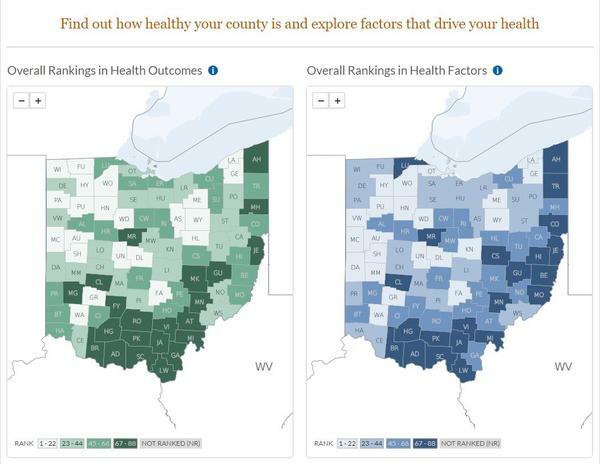 Summit County has climbed four spots in an annual health assessment of Ohio counties. The assessment is a collaboration between the Robert Wood Johnson Foundation and the University of Wisconsin Population Health Institute. It takes into account factors such as quality of life, behavior, healthcare and economics. The county improved from 50th to 46th. One thing holding Summit back is the opioid crisis. Cory Kendrick with Summit County Public Health, says average life expectancy dropped when accounting for overdose deaths. Summit County rates well when it comes to access to physical activity and doctors. You can view the full report at the County Health Rankings website.